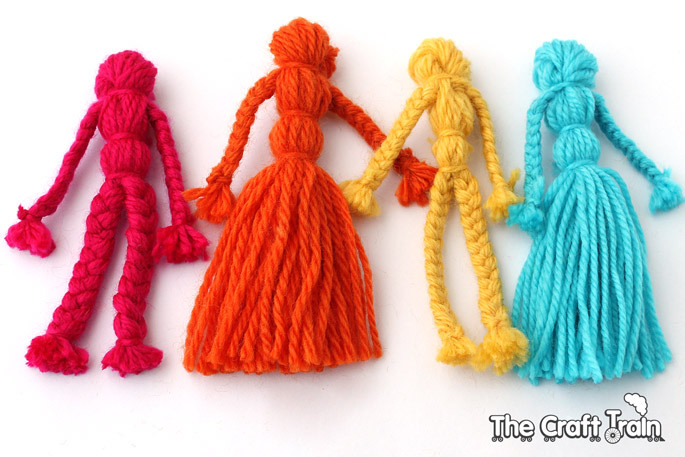 You may have made yarn dolls before, or remember having them made for you as a child. It’s something that I’ve pulled out of my memory vault of crafts I’ve made as a kid, but when I researched how to make them AFTER I made my own I realised that traditionally the heads are made using a different technique to what I have done here, but no matter, this way worked for me. This is a great craft for older kids – I’d say 8+, but you know your child and what they are capable of better than a written age restriction. 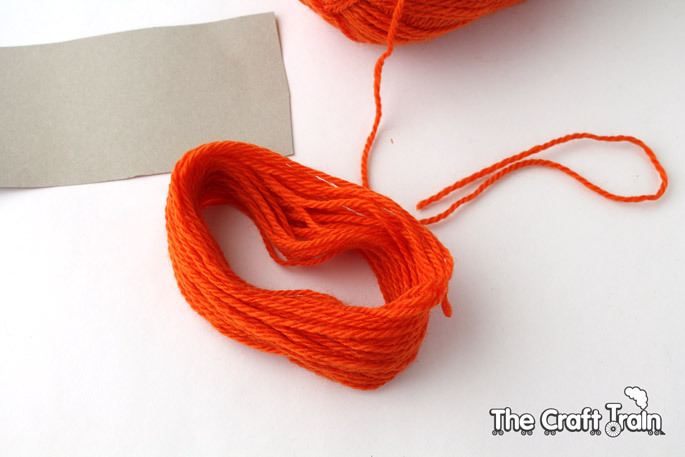 The best thing about them is that all you really need is YARN (well, not counting the scissors and cardboard scrap used for wrapping the yarn around), gotta love that! First wrap your yarn around and around the cardboard scrap. The card should be the length you want your doll to be. Once you’re happy with the thickness of it slide it off the card. 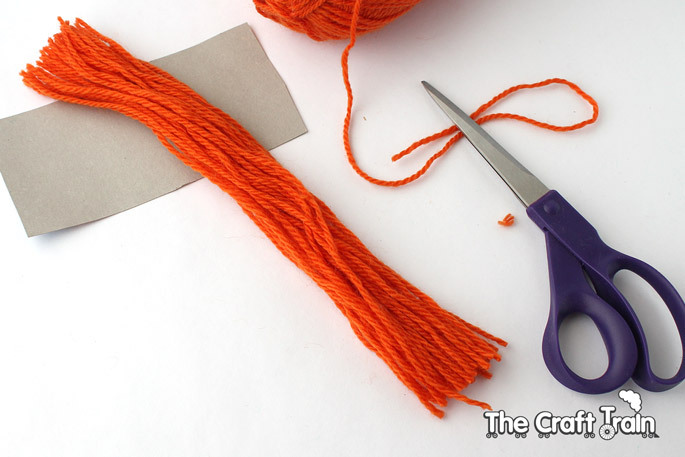 Snip ONE end so you have a long bunch of yarn pieces all the same length. 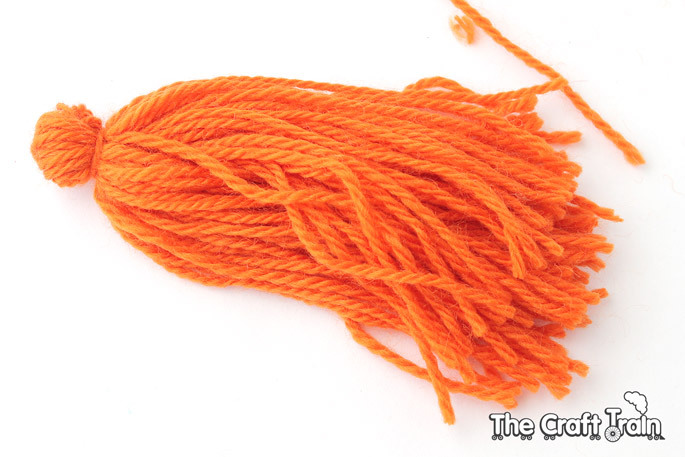 To make the head, twist the bunch once in the middle and fold in half, then tie tightly with a separate piece of yarn of the same colour. 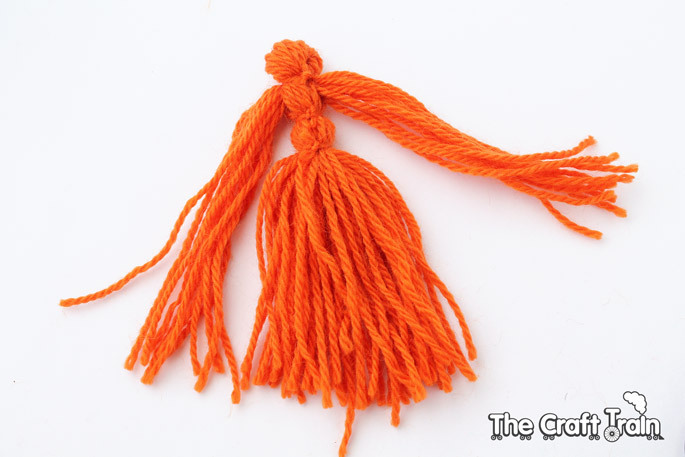 Once you have done that you need to divide the bunch into three parts, the two outside parts become the arms, and a thicker bunch on the inside for the waist and legs. Tie two more strands of string around the middle for the waist. 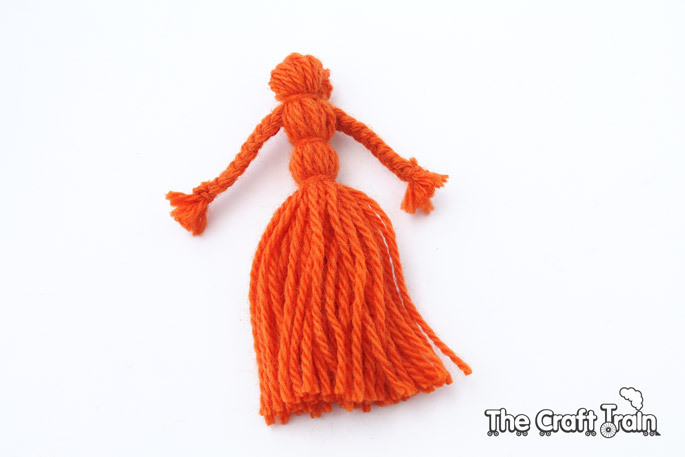 Braid and trim the arms, and if you want your doll to have legs braid some in, or simply give it a tidy-up trim and leave as is for a skirt. Voila! 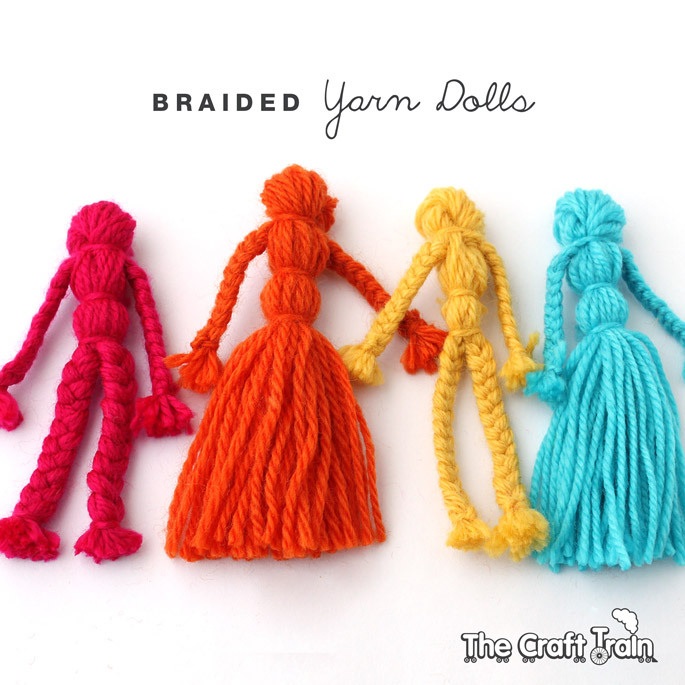 Now make some more in different colours and you’ll have a pretty collection of them like we do, but watch out – yarn doll-making can be addictive! 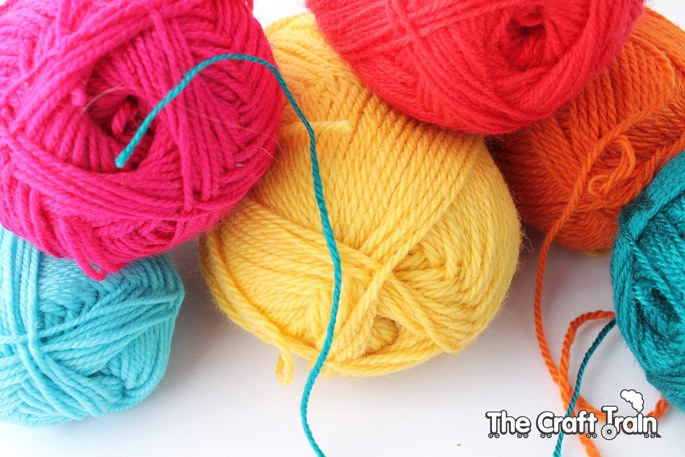 Visit my yarn board on Pinterest for more inspiring ideas. I also love your bright high quality pictures, they really add to the post so much, and your instructions are clear and easy to understand!! I’m just really impressed overall and really excited! My great-aunt used to make large dolls and glue a thin dowel rod into the top. Voila! Adorable dusters! They made me WANT to dust! I miss her and her creativity! This is great! Thank you! 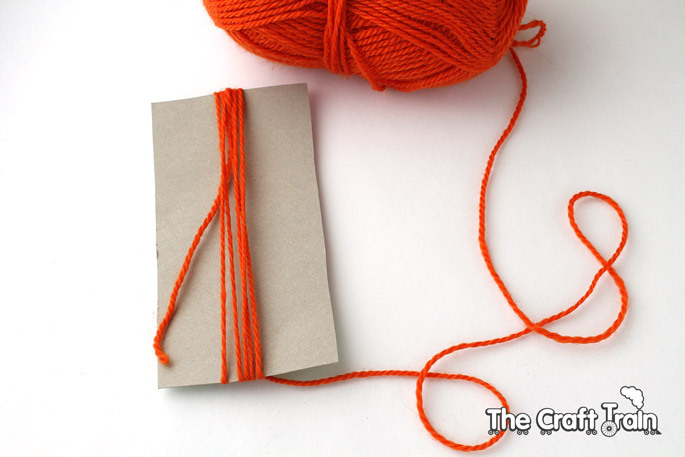 You could also use a small book to wrap the yarn around if don’t have cardboard. 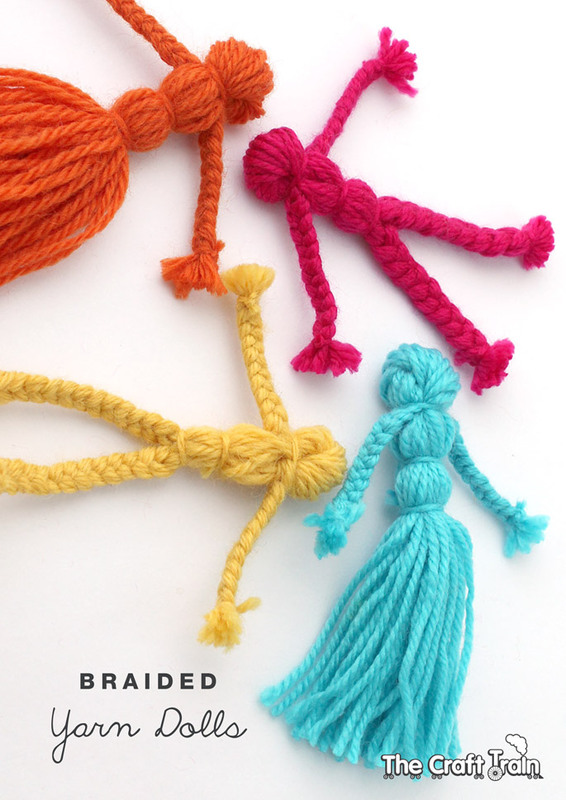 How do you tie off the braided hands and feet? Hi Cat, you just use a small piece of yarn the same colour as the doll you are making. Love them! 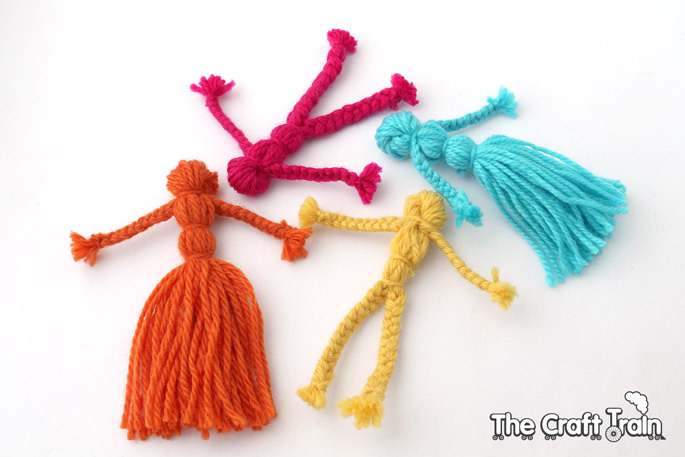 I’m going to have a go with a view to making worry dolls for bereaved children – I am a member of COPS (Care of Police Survivors) a charity for the family of officers who died on duty. These are so cool! I’m going to experiment with them as soon as possible!